If there’s a car on the market today that crosses out a lot of items on your automotive checklist, it has to be the Tesla Model S. This year, Tesla added the P85D trim, and it is this particular version of the premium electric sedan that I’m nominating as a Car of the Year candidate. So what makes the Model S P85D stand out? Well, I can start with its numbers. The Model S P85D features two electric motors that send power to the front and rear wheels. Yes, it’s all-wheel-drive, which no other Model S trim had until Tesla offered it in the P85D. In any case, the electric motor that powers the front wheels makes 221 horsepower and 244 pound-feet of torque. That’s impressive if not for the other motor powering the rear wheels. That one generates 470 ponies and 443 pound-feet of twist, bringing the car’s total output to a staggering 691 horses and 687 pound-feet of torque. This allows the P85D to sprint from 0 to 60 mph in just 3.1 seconds, faster than a lot of sports cars and some supercars in the business today. Top speed is still limited to 155 mph, but that should be inconsequential if you consider the said car can cover 275 miles on a single charge. In addition to its impressive performance numbers, the Model S P85D also comes with some tech goodies, highlighted by an autopilot software that allows the car to run autonomously in certain driving conditions. All of this and the car retails for just $115,500. It might be a little steep for some people, but with the federal tax credits that come with buying a Model S, that price tag drops to a comfortable number of around $108,000. 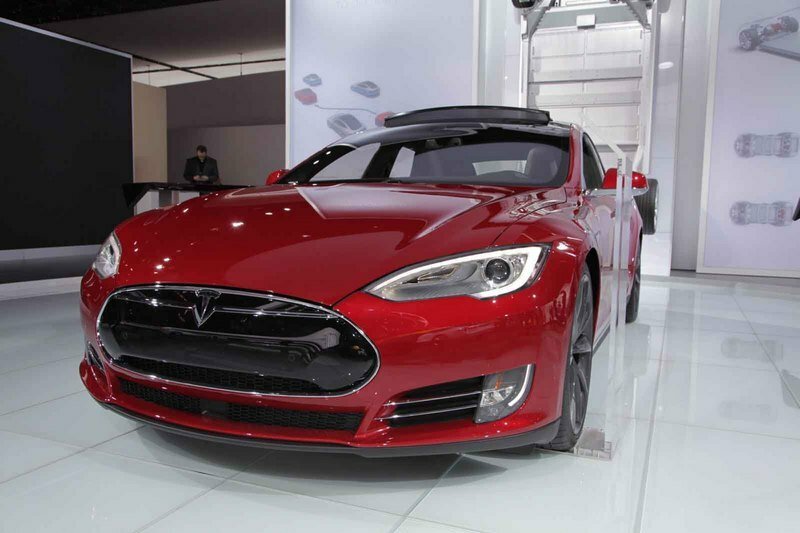 Read our full review on the Tesla Model S P85D here. The Mazda MX-5 Miata continues to soldier on as the standard-bearer in the entry level roadster market. The Japanese sports car has held that responsibility for close to three decades and for the most part, it has lived up to all of our expectations. I’m including the MX-5 in this list because I think that the new version of the sports car is the best iteration we’ve seen of the MX-5. It’s obviously the sexiest one of the lot so that’s points right there already. But, more than it’s stunning good looks and downright affordability – it retails for as low as $24,915 – it remains one of the most fun to drive cars in any market. Here in the U.S., the MX-5 Miata is powered by a 2.0-liter four-banger that pumps out 155 horsepower and 148 pound-feet of torque. Those aren’t mind-blowing numbers by any stretch, but basing the MX-5’s appeal strictly on its output is short-changing the fact that the current Miata is also lighter and more fuel efficient than its predecessors. Strictly from a value stand point, no entry-level sports car offers more of it than the benchmark of its segment. 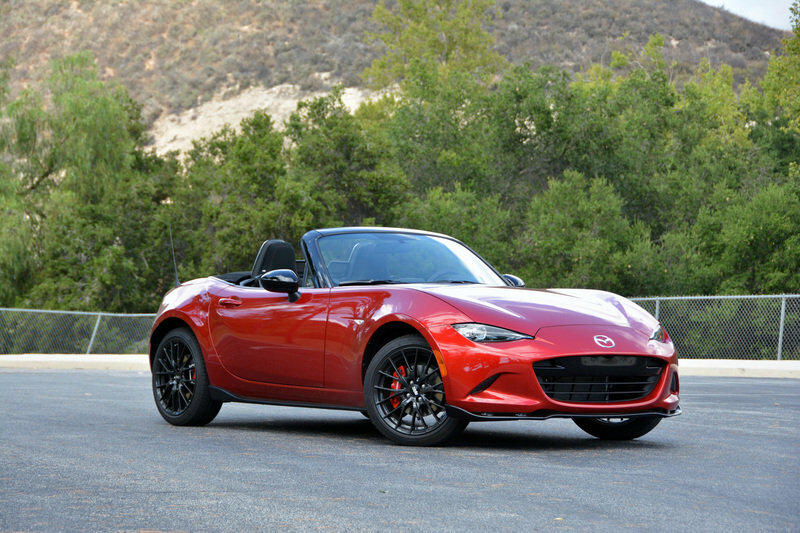 Read our full review of the 2016 Mazda Miata here. Once considered as the king of its segment, the Honda Civic fell on hard times at the turn of the decade. It got so bad that the 2012 Honda Civic was universally scorned for a variety of reasons. It took a few years for Honda to work out the kinks on the Civic, but ultimately, all that hard work paid off with the 2016 model. Everything about the new Civic is a massive improvement from what I’ve seen from Honda in recent years. The styling is dramatic and the noticeable body lines show a more aggressive side to the compact car that I haven’t seen since, well, forever. As good as the front section is, the rear end is where the new Civic really shines. The swooping roof line drops quickly at the back, giving the Civic a fastback look that further highlights its sportiness. Even the shape of the rear lights and the cuts along the bumpers is something I’d expect from a company like Volvo, not Honda. Suffice it to say, the 2016 Civic gets flying colors with its design. Then there’s the technology, which has become more and more important for cars in this segment, thanks to having more discerning customers. The Civic scores well there as if features an abundance of tech and safety features, including collision mitigation braking, road departure mitigation, forward-collision and lane-departure warning. So, not only is the car stylish, but it is safe as well. It’s output – 158 horsepower and 138 pound-feet of torque from a 1.5-liter, four-cylinder engine – remains in the “what-you-see-is-what-you-get” category, but that’s not a bad place to be in since none of its competitors stand out in that department. And, if those numbers aren’t enough, customers can opt for the higher trim options, which carry as much as 174 ponies and 162 pound-feet of torque. All this for a starting price of just $18,640? Yep. The Honda Civic is definitely back and it has returned with a bang. 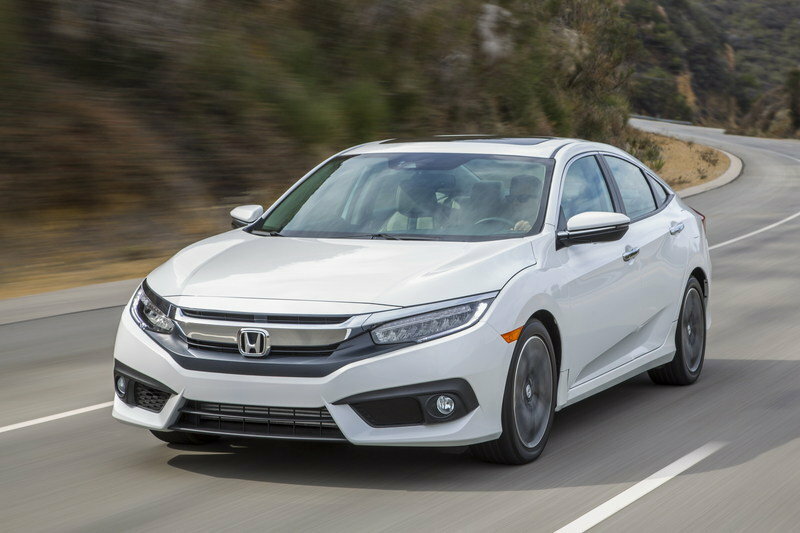 Read our full review of the 2016 Honda Civic here. Sometimes, a car doesn’t have to have tradition, good looks, or have incredible power and speed to be considered in this list. All it needs is to be one of those cars that kick starts a revolution. The Toyota Mirai certainly fits that bill. Sure, it’s got an uneven look to it that takes a lot away from its aesthetic appeal. It’s also not what you’d call a power player or a speed merchant. But, what it lacks in those categories, it more than makes up for in three words: hydrogen fuel cell. Obviously, other FCV models have already hit the market, but the Mirai is the first to do so in a high volume capacity. That in itself is worthy of recognition, but it’s not the only thing this car has to offer. 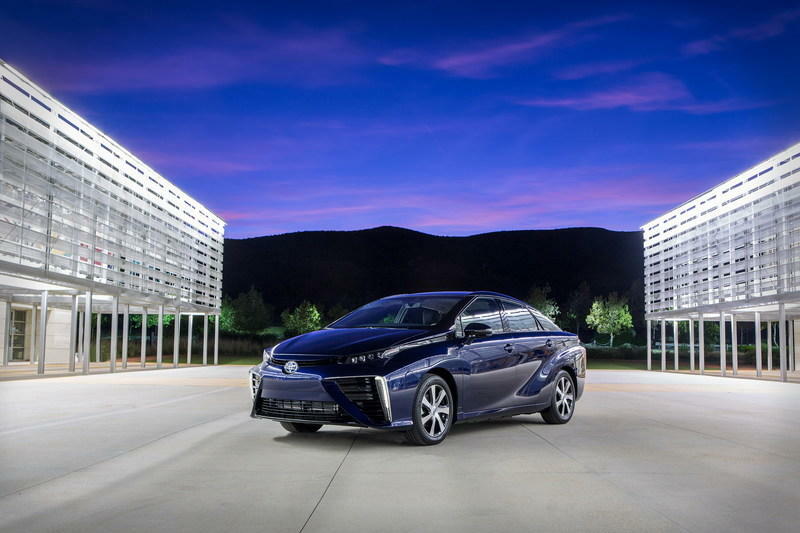 More important than just being a trend-setter, the Mirai also has the goods to back up its status. It comes with a fuel cell stack that offers 3.1 kW/L of hydrogen and when combined with an electric motor, it can produce as much as 153 horsepower. Unlike hybrids, charging the Mirai only takes five minutes, far quicker than the time it takes for a hybrid or an electric car to charge its own batteries. The Mirai also has a power take-off system that effectively makes the car a generator on four wheels. It’s so incredible that the Mirai can actually power your own house for an extended period of time. If that’s not worth a Car of the Year nomination, I don’t know what it’s going to take. Read our full review of the 2015 Toyota Mirai here. Cars like the BMW 7 Series normally don’t get the attention they deserve when it comes to Car of the Year nominations. That comes with the territory of being a flagship model. But I’m throwing some love towards the 7 Series, because for the first time in a while, it actually lived up to the high expectations I have for a full-sized luxury sedan. That’s not to say that the 7 Series completely rid of its flaws. It drives the way a luxury car would, which is to say that it’s quiet and efficient. But sometimes, it can be too quiet to the point that I might as well be meditating while I’m driving the car. Obviously, that’s not why the 7 Series made my list. The reason it’s here is that BMW found a way to work around the 7 Series’ limitations and serve up a nice platter of luxury car goodness. Take a good look at the 7 Series and you immediately realize how technologically loaded it is. And by that, I mean loaded in the same sense as a shepherd’s pie is loaded with meat. There’s very little space in the 7 Series that doesn’t come with some kind of technological wizardry. It has gesture control on some aspects of the tech-rich infotainment system. The BMW smart fob basically works like a smart phone without the phone capabilities. It’s got Samsung tablets scattered throughout the cabin. It even has an ionic-filtration system that comes with fragrance cartridges. I mean, who thinks of that? Oh, and it also has a plethora of semi-autonomous driving features that works just like Tesla’s autopilot system. These are just a handful of tech features that BMW somehow stuffed inside the 7 Series. Running through everything is going to take up precious words. The point is that BMW really brought out the best out of the 7 Series. 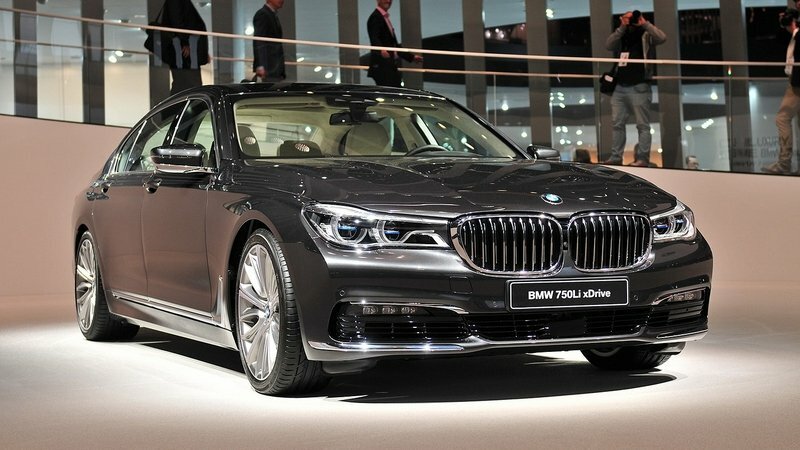 Even if it still faces stiff competition from the Mercedes-Benz S-Class and the Audi A8, the BMW 7 Series can now flex its muscles without being laughed at. Read our full review of the 2016 BMW 7-Series here. Of all the brands that have promised to reinvent themselves with edgier model offerings, I can’t think of one model that perfectly lived up to those promises more than the Volvo XC90. 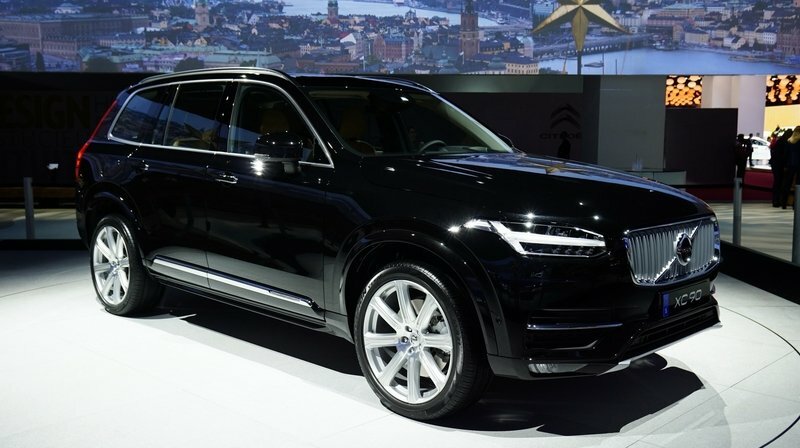 Not only is the Volvo XC90 the perfect embodiment of Volvo’s aggressive image makeover, it also is the first model to utilize the brand’s first new Scalable Platform Architecture. That might not be a fancy way to describe a Car of the Year nominee, but that goes to show how far Volvo has come into reinventing its image. The other good things about the XC90 is evident from the moment you see it. The new design is a home run. The interior is now brimming with luxurious creature comforts like its flamed-birch wood trim, soft Nappa leather, and lest I forget, the crystal gear lever that Volvo commissioned from noted Swedish glass maker Orrefors. Volvo also added plenty of safety tech on the XC90 as part of its goal to keep the number of injuries and casualties on any of its cars to zero by 2020. The SUV features new and updated IntelliSafe technologies like Park Assist Pilot, Cross Traffic Alert, and an Adaptive Cruise Control system with Pilot Assist. If the XC90 does have a limitation, it’s the absence of any powerful V-6 and V-8 engines that a lot of SUV owners prefer. But even without these mills, the XC90’s four-cylinder engine is good enough to rival anything that the BMW X3s and the Audi Q5s of the world can throw its away. Plus, it’s got a hybrid version in the T8 trim that produces 400 horsepower and 472 pound-feet of torque, enough to give it the performance punch to complete its impeccable package. Read our full review on the 2016 Volvo XC90 here. The reason why I’m including the Model X is because I believe it will do just that by taking what the Model S created in its own market and establishing it in the SUV segment. Aesthetically, the Model X is a crowd-pleaser even though it doesn’t ride as high as other SUVs. You might even say there’s a minimalist aspect to its design, that is until you try to go inside and those falcon doors rise up and stretch their proverbial wings. On the performance end, the Model X has the ability to be as quick as a Koenigsegg CCX in a sprint from 0 to 60 mph. That’s not a missprint. The P90D, the performance-oriented version of the two Model X configurations, comes with a pair of electric motors that power the front and rear axles, respectively. It’s just like the Model S, except that in the Model X, the motor that powers the front wheels can produce 259 horsepower while the its counterpart at the rear can spit out 503 ponies. That translates to a 0-to-60-mph run of 3.8 seconds, but if fitted with the appropriately named Ludicrous Speed Upgrade, that sprint time drops to 3.2 seconds, right around what the aforementioned CCX is capable of. Oh, and it has a 250-mile range, which, you know, is pretty cool. 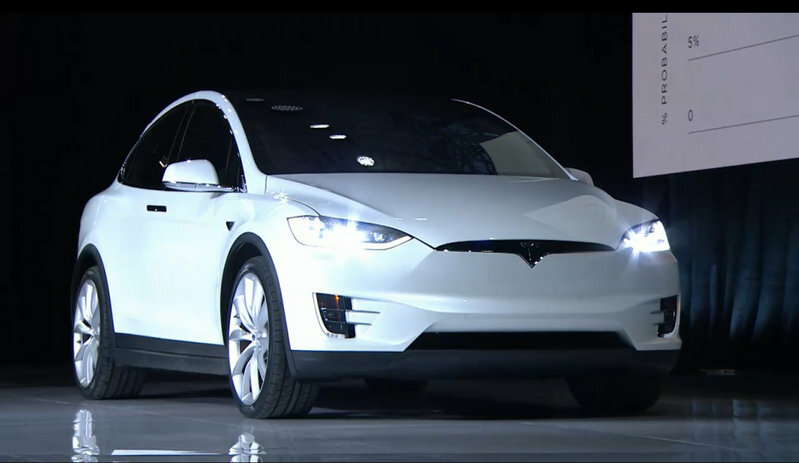 The only part of the Model X that I’m not particularly thrilled by is its starting price of $132,000. But, if somebody is looking for an SUV that can meet his daily needs for the long haul, investing in the Model X could end up being a steal of deal in the long run. Read our full review of the 2016 Tesla Model X here. The 2015 Chevrolet Colorado was one of last year’s biggest surprises as it was able to define itself thanks to a remarkably rounded package that touched on a lot of “needs” for a lot of discerning pickup customers. Somehow, though, the 2016 Colorado managed to take it up a notch with the biggest addition to the model being the 2.8-liter inline-four Duramax diesel that pumps out 181 horsepower and 369 pound-feet of torque. Beyond the output numbers, the addition of the Duramax to the Colorado’s engine lineup made it the only midsize pickup other than its cousin, the GMC Canyon, to offer such an engine. Having the Duramax in the fold is a big coup for the Colorado, as it beat out any gas-powered competitor in efficiency testing. It’s a testament to the quality of that diesel engine that I’m not even talking about the Colorado’s gas engine variants, namely the 2.5-liter I-4 and the 3.6-liter V-6, two engines that also deliver class-leading fuel economy. Outside of its technical capabilities, the Colorado is also built really well, at least from an aesthetic stand point. The interior, in particular, is designed to be sporty and understated at the same time. The result is a well-balanced cabin that combines functionality and top-class ergonomics. 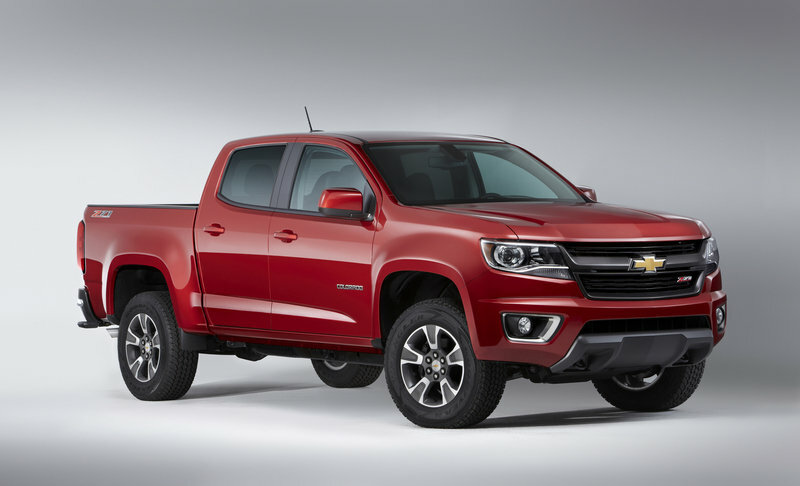 Read our review of the 2015 Chevy Colorado here. 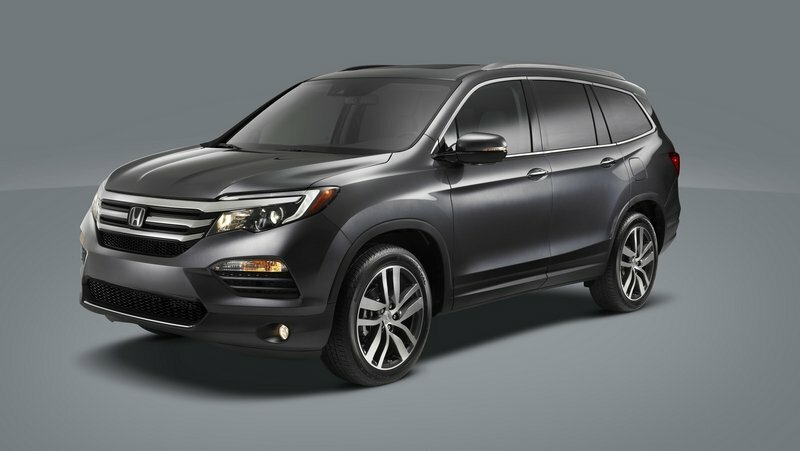 The 2016 Honda Pilot has mostly flown under the radar this year and that’s a crying shame. People need to get on board with the fact that the Pilot may very well be one of the best SUVs of the year. Consider what the 2015 Pilot looked like and compare it with the all-new 2016 model. The latter is better in every way imaginable. It’s sleeker, sportier, and far more in-tune with Honda’s current design philosophy than the shoebox that was the 2015 model. That dramatic improvement alone is worthy of my nomination. But, Honda didn’t just stop there. The interior is a lot more refined and luxurious. It also has modern-day tech and safety features, enough to be awarded with a Top Safety Pick+ rating from Insurance Institute for Highway Safety (IIHS). Granted, I would’ve preferred to have seen a new engine. Alas, Honda settled for a revised version of the 3.5-liter V-6 engine that’s been sitting under the hood of the Pilot for quite some time. The updates to the engine gives the Pilot 280 horsepower and 262 pound-feet of torque to play with, leapfrogging the Toyota Highlander in that department. Even with the extra horses, the Pilot still commands an impressive fuel efficiency rating, returning as much as 23 mpg (combined) when fitted with that optional nine-speed automatic transmission. Pricing for the Pilot starts at $29,995 for the base LX trim before ballooning up to $46,420 for the range-topping Pilot Elite AWD. Read our full review of the 2016 Honda Pilot here. After many spy shots and one concept, the Mercedes GLE Coupe is here. Plus it gives us a glimpse at Mercedes’ new AMG sports line. A lot of people, myself included, were apprehensive when Mercedes announced its plan to compete against the BMW X6 in the niche coupe-SUV segment. Part of my skepticism hinged on the fact that the X6 isn’t all that popular to begin with, so why would Mercedes waste its time trying to compete against a poor-selling model. Turns out, I’m happy to say that I have been proven wrong, because the Mercedes GLE Coupe succeeds in a lot of the things that the X6 still can’t figure out. The most obvious example is the design: the GLE Coupe looks fresh and inspired whereas the X6 looks like its ready to be put to pasture. The overall idea of a coupe-SUV is still a little hard to digest, but the GLE Coupe makes it work. Other than polishing up the GLE Coupe’s aesthetics, Mercedes also wasted little time offering a variety of trims for the vehicle, none more important than the GLE 450 AMG 4MATIC, the version that arrived in U.S. dealerships. That particular version also benefits by getting Mercedes’ new 9G-TRONIC, nine-speed automatic transmission and four-wheel drive capabilities. 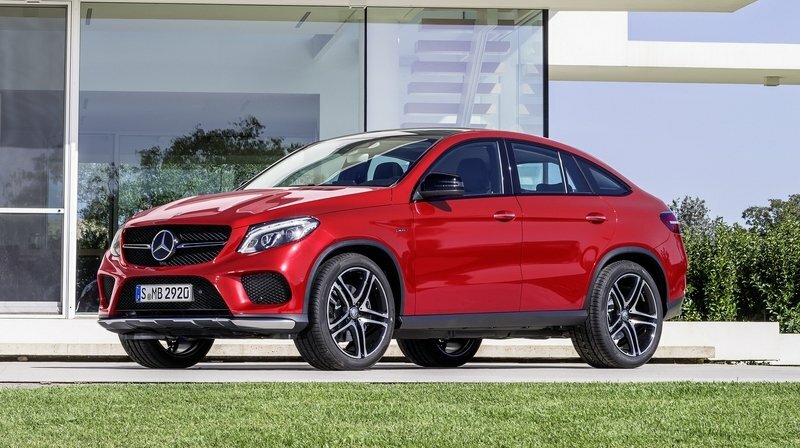 Read our full review of the 2016 Mercedes-Benz GLE Coupe here. Before 2015, McLaren took pride in being known as one of the most exclusive supercar brands in the world. But the British automaker switched things up in 2015, as it announced plans to become more accessible to a wider range of potential customers. Thus the McLaren 570S was born, and its arrival signaled the start of the company’s plan to bring its brand of race-derived technologies to a new and bigger audience. With that, it’s hard to downplay the significance of the 570S from McLaren’s point-of-view. That’s why I’m nominating it for Performance Car of the Year. Before questions start on whether the car deserves it on its own merit, let me emphatically say that it does. Whether it’s its P1-inspired styling DNA or its incredibly light weight architecture - it’s 462 pounds lighter than the Porsche 911 Turbo S – the 570S was designed with the goal of it becoming the best supercar in its segment. On the performance front, the 570S makes use of a detuned version of the company’s ubiquitous 3.8-liter twin-turbo V-8 engine that produces 562 horsepower and 443 pound-feet of torque. Those numbers pale in comparison to the 650S and the P1, but they’re more than enough to topple the industry’s current standard-bearers: the 540-horsepower Audi R8 V10 Plus and the 560-horsepower Porsche 911 Turbo S.
Pricing for the 570S starts at $184,900, making it slightly more expensive than both the Audi and Porsche supercars. It’s too early to say how the 570S will fare against its established rivals, but how the car fares in the future isn’t the reason why I added it into my list. I included the 570S because it represents the dawn of a new age for McLaren. 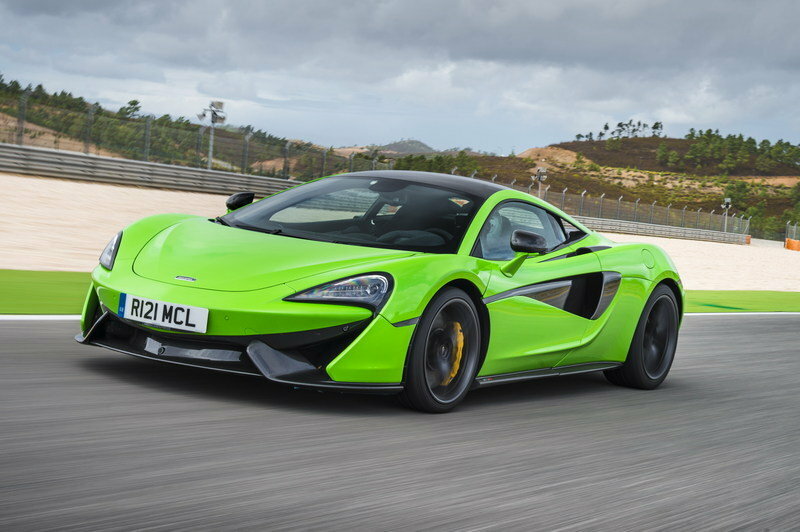 Read our full review of the 2016 McLaren 570S here. It does seem like it’s become an annual thing, hasn’t it? Every year since it returned in 2010, the Chevrolet Camaro somehow manages to finagle its way into car of the year conversations. That’s a testament to the staying power of Chevy’s prized pony and also the emerging popularity of performance-oriented vehicles to a growing segment of the population. The fifth-gem Camaro took full advantage of that and now that the sixth-generation model has officially broken cover, it does look like it’s going to have no problem building off of the legacy left behind by its predecessor. There are a lot of things to love about the new Camaro, one of which is its evolutionary design that somehow sticks with some of the design elements of the previous version while also offering a lot of fresh details. Overall, it’s more an evolutionary step in the design than a revolutionary one, but it accomplishes its goal of being more aesthetically pleasing than fifth-generation model. As fresh as the new Camaro looks, one of the biggest and most important changes in the sixth-generation model is the addition of a turbocharged four-cylinder engine that now takes its spot as the entry-level unit of the muscle car. I kind of expected this to happen, especially when Ford released a 2.3-liter EcoBoost Mustang a year prior. It’s nice to see that my intuition came through. Now that it’s here, I can’t tell you how excited I am to about the prospect of seeing how this new four-pot Camaro performs on the road. The other important detail about the new Camaro is its use of a modified version of the platform used by the Cadillac ATS. This architecture is much lighter than the one used by the previous model, helping the car cut as much as 200 pounds compared to the model it replaces. This results in a more dynamic driving experience that ought to further elevate the status of the Camaro for years to come. Pricing for the Camaro starts at $26,695 for the base 1LT trim. The price goes up to $37,295 for the SS trim. You don’t need a calculator to determine that at those numbers, you’re looking at a real bargain here. 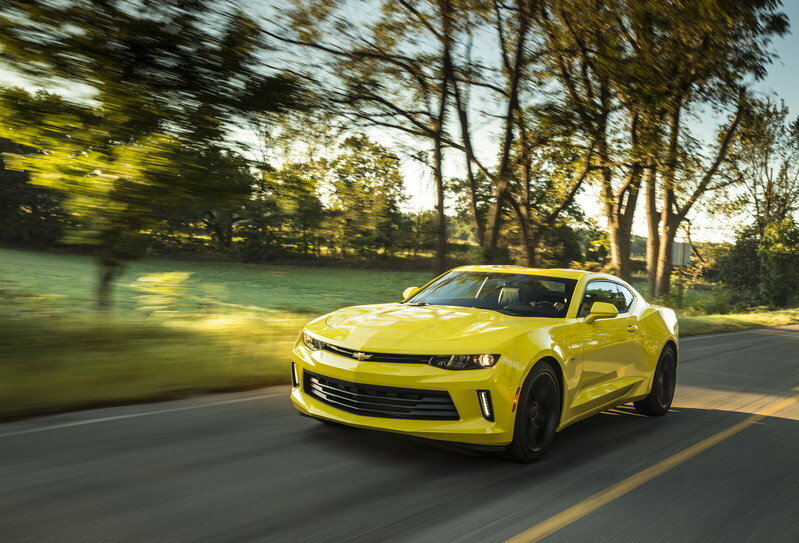 Read our full review on the 2016 Chevy Camaro here. The Ferrari 488 GTB falls under the same rationale I had when I nominated the McLaren 570S for Performance Car of the Year in that I took into account two things: the car itself and what the car represents for its manufacturer moving forward. On its face, the 488 GTB has all the makings to be a worthy successor to the popular 458 Italia. I can even make a case that it could be better than its predecessor. As you can expect, Ferrari went to great lengths to give the 488 GTB a fresh appearance while also showing subtle hints of its 458 lineage. The two vertical struts on the 488 also ties into the company’s Formula One outfit. All that is exciting, but the real highlight of the 488 GTB is its 3.9-liter turbocharged V-8 engine that replaces the naturally aspirated 4.5-liter V-8 mill that powered the 458. 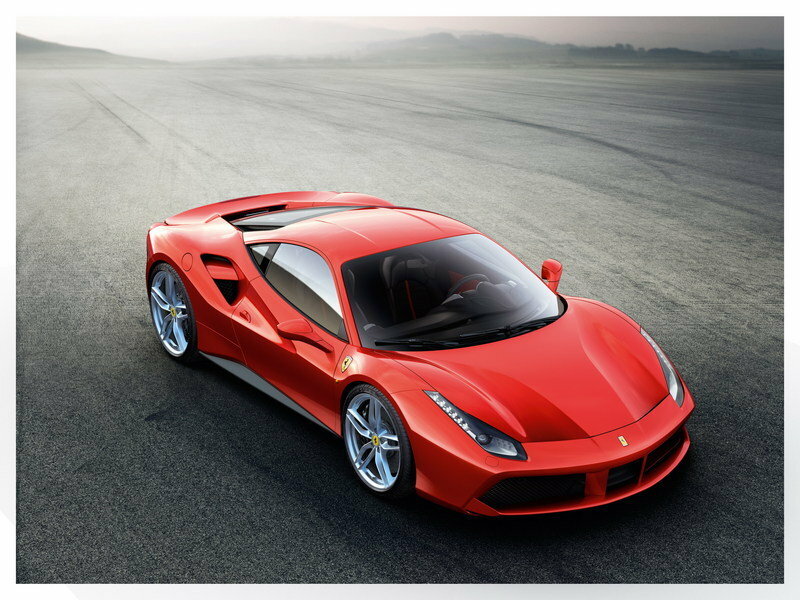 The new engine helps the 488 produce an impressive 660 horsepower and 560 pound-feet of torque, good enough to allow the new Prancing Horse exotic to sprint from 0 to 60 mph in just three seconds to go with a top speed of 205 mph. Technically, the 488 GTB is the second Ferrari to use turbos, following in the footsteps of the California T. But, this is the first time I felt that Ferrari’s decision to use turbochargers became real. Purists may scoff at it, but the benefits of having turbos – more efficient and environmentally friendly – became too good for Ferrari to pass up. Pricing for the Ferrari 488 GTB starts from $242,737, slightly cheaper than the McLaren 650S and a tick more expensive than the Lamborghini Huracan. Read our full review of the 2016 Ferrari 488 GTB here. The 2016 Cadillac ATS-V is probably the most understated model on my list of nominees. It’s not an all-new model like the McLaren 570S or the Ferrari 488 GTB. It doesn’t have anything revolutionary about it unless I count Caddy’s new wreathless logo as “revolutionary.” The ATS-V boasts none of these things and yet, it’s on my list because Cadillac finally put together a package that can dethrone its German rivals: the 2015 Mercedes C 63 AMG and the 2016 BMW M3. That’s the beauty of what Cadillac did. The company knew that it already had something special with the car, but it also knew that it needed something more to really push it over the top. That’s when it took the task of reworking the ATS-V’s internals to accommodate the spate of modifications on the sedan’s 3.6-liter V-6 engine. The most important of these modifications is the addition of twin-turbos, which help the ATS-V produce 464 horsepower and 445 pound-feet of torque. Do the math and that output is well ahead of what the M3 is capable of and just a little short of what the C 63 AMG has under its own hood. The ATS-V was once regarded as a “pretender” in the competitive sports sedan segment. That’s no longer the case with the 2016 model. Pricing for the new ATS-V begins at $61,460, slightly cheaper than both of its German adversaries. I’m a sucker for hot hatchbacks since they’re generally more affordable than supercars and thus, are far easier to attain for someone like me. So when Ford launched the third-generation Focus RS, it deservedly received my full and undivided attention. I have to say it, but the new Focus RS exhibits all the elements that I love in a hot hatch. 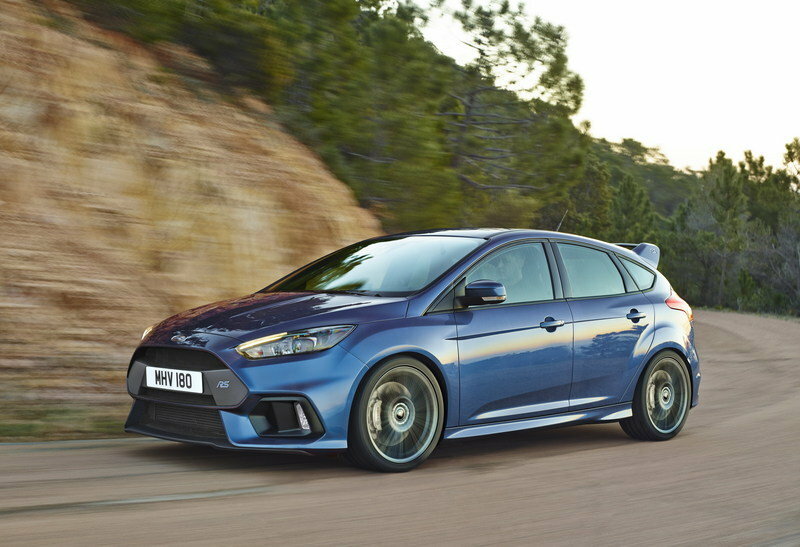 The aggressive design, highlighted by a purposeful body kit, speaks to the lengths Ford took to create a design deserving of a market-leading hot hatch. Yep. I’m already calling it this early: the new Focus RS will be the king of hot hatches sooner than later. Bold predictions aside, I can’t help but also shine the spotlight on the Focus RS’ performance capabilities. It may still use the same turbocharged 2.3-liter, EcoBoost, four-cylinder as the 2015 Mustang, but it’s been tuned to produce an incredible 350 horsepower and 350 pound-feet of torque. That’s more than what the 2016 Volkswagen Golf R and the 2016 Subaru WRX STI have at their disposal. More importantly, that’s also more than what the 2016 Honda Civic Type-R can produce. It’s safe to say that Ford has thrown the gauntlet at the rest of the hot hatch market and it’s in the best interest of its rivals to now try to catch up. Oh, before I forget: the Focus RS will be available in the U.S. with a price tag of $35,730. Yep. The hot hatch of my dreams is finally U.S.-bound.